6 colourful colour card changes like never before. 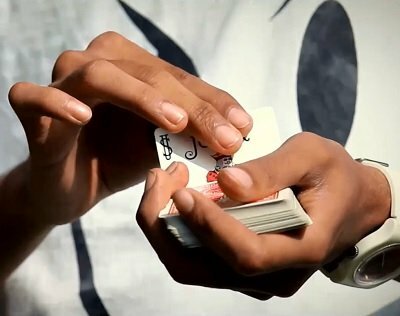 Vibgyor is a colorful journey created and cherished from the mind of Aarsh Shah that contains color changes that requires nothing but your hand and deck of playing cards. Piklumagic brings this journey that includes six colorful destinations which are creative an very visual and can be performed anywhere and anytime.